To view life at a mythical level is to see the great archetypes playing out in our lives -- both our persomal lives and the greater collective history of man. Through understanding your own past in this way, you can see that the story lines of all individuals play out variations of the same themes. At this level, we can recognize these same archetypal themes in every cultures rituals, fairy tales, legends and myths. 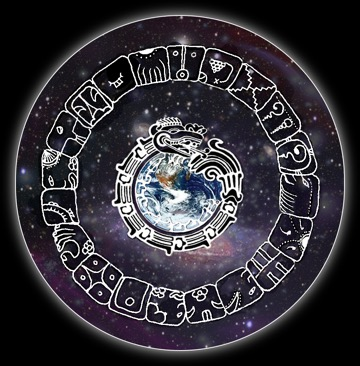 It has been three decades since I first heard the call that set my life on a path imbued with the spirit of Feathered Serpent, mythic Mesoamerican archetype of culture created in conscious and peaceful alignment to cosmic order. That was a year prior to August 16-17, 1987 when, through an extraordinary worldwide ceremonial event known as Harmonic Convergence, the spirit of Feathered Serpent emerged dramatically from the shadows of history into the light of public awareness. The Harmonic Convergence ceremony garnered unprecedented media coverage, yet many people wrote it off as just another airy fairy New Age celebration with no substance whatsoever. Some in the media proclaimed it as the “Moronic Convergence,” thus giving voice to their own pessimism at the prospect of people ever transcending the status quo mentality of the day. Cartoonists chimed in with humorous takes on the challenge faced by those of us who were preparing to gather at dawn at sacred sites throughout the planet on August 16. However, we pioneering few who were bent on directly experiencing a profound moment of spiritual unity with other like-mindeds would not be deterred in our quest. The vision of a peacefully united humanity simultaneously manifesting a widely diverse form of planetary culture, was much too compelling to ignore. The spirit of Feathered Serpent thundered forth on that August day, not simply as the celebration of an iconic mythological image, but as collective entry into a twenty-five year planetary initiation into the cyclic/holistic worldview of our Mesoamerican ancestors. It is a worldview that has much to offer a species torn apart by rampant materialism and endless war. Not that Mesoamerica has been without its wars. It has not. However, still decipherable through its sacred sites and symbols are the essential elements of a once-thriving spiritual tradition known as Feathered Serpent/Kukulkan to the Maya, and as Quetzalcoatl to the Aztecs. As I see it, this figurehead of culture created in peace and good will brought forth a Dream of Harmonic Convergence that has been growing into manifestation ever since. 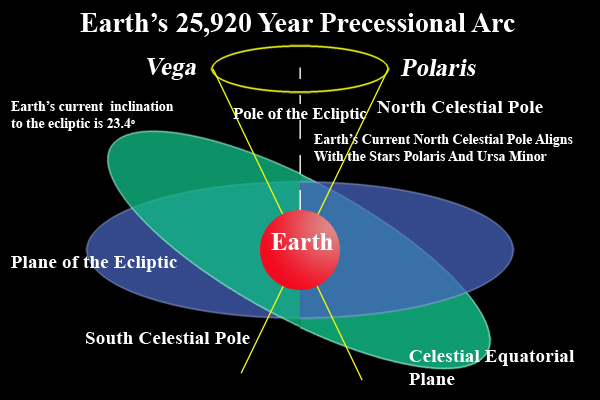 Jose’ Arguelles, initiator of the Harmonic Convergence ritual, contextualized the event as the entry-point into a twenty-five year count-down to the close of a 5,125 year World Age closely tracked by Mayan scientists and said to end on December 21, 2012. Unfortunately, much like the misrepresentations broadcast by the media regarding Harmonic Convergence, the same media missed the true significance of the 2012 date and almost obliterated it in a tsunami of doom and gloom commentary that rose up prior to its occurrence. Far from dwelling on it as a “linear-time” end of the world scenario, December 21, 2012 was seen by our Mesoamerican ancestors to be the “cyclic-time” beginning of an entirely new and hopeful era of human awareness, one astro-mythologically related to the 26,000 year cycle of Earth’s “wobble,” known as the precession of the equinoxes. This vast precessional cycle causes a slow, yet predictable, alteration of humanity’s fundamental relationship to deep space. It was detectable only to dedicated sky-watchers like the Maya since it proceeds at the almost imperceptible rate of just one zodiacal degree every seventy-two years. Once comprehended and tracked, however, the precessional cycle became a favoured frame-of-reference for the Maya in tracking successive stages in the evolution of human consciousness. According to independent Mayan scholar John Major Jenkins, Mayan astronomers tracked the precessional cycle very closely. In fact, he believes that what is called the Long Count calendar was designed by the Maya for exactly this purpose. He also figures that Mayan engineers constructed sacred architectural monuments to transfer this knowledge from generation to generation. By carefully deciphering the messages coded into several of these monuments, Jenkins has been able to deduce that our current era is a unique one wherein, over a period of several years, the sun comes into close visual alignment with the very centre of the galaxy, what the Maya call HUNAB KU: One Giver of Movement and Measure. It may be unpopular to say it, but it’s true: what 2012 was intended to target is not about 2012, it is about a process-oriented shift. It’s really about an open door, a once-in-a-precessional-cycle zone of opportunity to align ourselves with the galactic source of life. There are forces already set in motion propelling us through a crucible of transformation unlike anything experienced in millennia. The process is occurring on the scale of decades, even centuries---but it is occurring on a global level! The sober and humbling fact is that we are being called to create, nurture, and help unfold something that will not flower until long after we, as individuals, have died. The larger life-wave of humanity is at stake. The Algonquin teaching to look ahead seven generations before decisions are made should be our guiding maxim. As documented by John Jenkins, astronomical tracking of the precessional cycle and the creation of a precessional cosmology was not limited to the Maya, nor was it limited to Mesoamerica where it emerged as far back as the Pre-Classical (Formative) Olmec “mother culture” (1200 BCE to 400 BCE). The Maya, however, and later, the Toltecs and Aztecs, developed a precessional cosmology that portrayed a succession of World Ages or “Suns”, each approximately 5,125 years in duration. Therefore, one complete precessional cycle of approximately 26,000 years constituted five of these Suns. According to legend, each Sun carried a particular theme that was played out over the full duration of the Age. In a cyclic/holistic worldview such as the Mayan, all cycles end in some form of anticipated collapse which nonetheless presages the gradual emergence of an entirely new cycle. As the last of the archaic Mesoamerican civilizations, the Aztecs were heir to the vast cosmological knowledge of a multitude of forebears, including the Maya, the Toltec, Zapotec and Olmec. 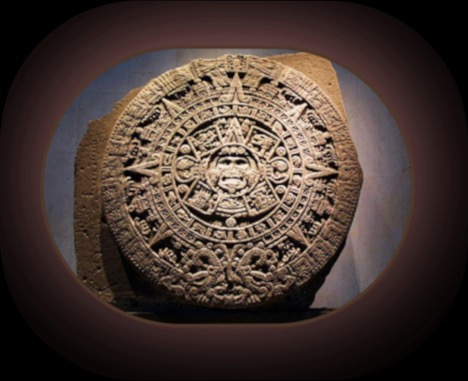 A 24 ton stone sculpture created by the Aztecs and known in English as the Aztec Calendar or Sunstone and in Spanish, as La Piedra Del Sol, synthesized into one monumental image, much of that cosmological heritage. The central portion of the stone depicts four previous World Ages surrounding a central Fifth Age, also referred to as the Sun of Movement. According to the precessional cosmological view which I currently support, the 5th Sun began on what corresponds in the Gregorian calendar to August 11, 3114 BC. Predictably, it ended, 5,125 years later (13 baktuns in the Mayan Long Count calendar) on December 21, 2012. As of that date, therefore, a new World Age has officially begun and is known as the Sixth Sun, the Sun of Consciousness. Alternatively, and more poetically, it is called the Sun of Flowers, my preferred designation. It is to those of you prepared to do the vital inner work necessary to bring the Sun of Flowers into manifestation through your own being, that I freely offer the mythical time tool that is the Seasons of Uranus technique. May it aid you on your journey by broadening your understanding of who you are, and of what your authentic participation is, in the birth of a radiant new era of transcendent human consciousness and creativity on planet Earth.